The basic idea of the twentieth century "early music" revival was to explore a historical repertory by using an appropriate historical technique on an original or replica instrument of the period. 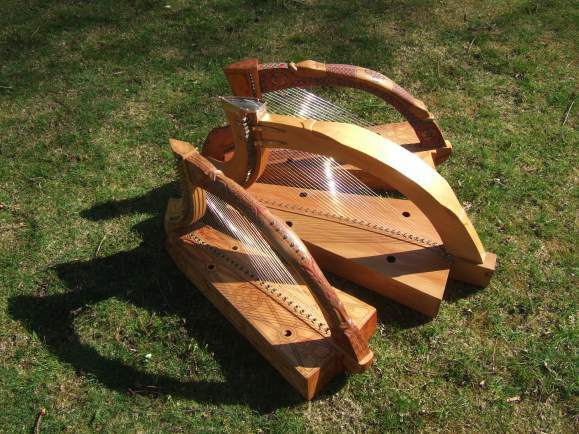 Using a modern technique or a modern instrument is no less valid musically, but it produces a different music, in a different tradition. We are extremely lucky to have so many surviving instruments in museums and collections in Ireland and Scotland. All of them are far too precious and fragile to string and play, and so we depend on newly-built replicas of them. There is no doubt that the closer a replica adheres to its historical original, the more the player can understand of the music and the tradition. What is the difference between a "Wire-strung harp" and an early Gaelic harp? read more.